A federal watchdog has dismissed complaints that a mass-shooting survivor broke the rules by working with an advocacy group to lobby for gun policy changes while also serving as a member of the Liberal government's firearms advisory committee. In a recent decision, federal lobbying commissioner Nancy Belanger said Nathalie Provost's work on behalf of the group PolySeSouvient, which pushes for stricter gun control, did not breach lobbying laws because Provost is not paid by the group and therefore does not need to register as a lobbyist. Provost said in an interview that she was relieved to be cleared by the commissioner, and considers the efforts against her an attempt to discredit PolySeSouvient. "I knew that I was not a lobbyist," she said. "I feel it's like a strategy to shut us down." Belanger's office received numerous complaints about Provost's alleged conflict of interest after firearms advocates launched an online campaign encouraging people to write letters. Provost, who was shot four times during the 1989 assault by a gunman at Montreal's Ecole Polytechnique, has been involved for eight years with PolySeSouvient, which includes students and graduates of the engineering school. In late 2016 the Liberals appointed her to be a vice-chair of the 10-member federal firearms advisory committee, which advises the public safety minister on Canada's gun policies, laws and regulations. The committee is chaired by a former Supreme Court justice and counts a police chief, a competitive sport shooter, an emergency physician and a farmer among its members. Under the committee's terms of reference, members are barred from engaging in lobbying activities or working as a registered lobbyist on behalf of any organization making submissions or representations to the federal government on issues relating to the mandate of the committee. A federal bill introduced in March would expand the scope of background checks on those who want to acquire a gun and force gun retailers to keep records of firearms inventory and sales, The legislation would also require purchasers to present a firearms licence, while the seller would have to ensure its validity. The bill quickly prompted polarized reactions, criticized by some as too weak and by others as a misguided effort that does nothing to tackle actual gun crime. 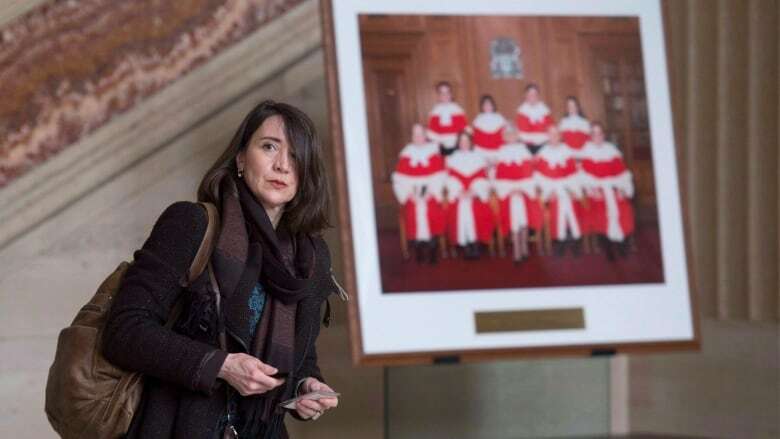 A representative of the Canadian Coalition for Firearms Rights, a voice for gun owners, filed a complaint with the lobbying commissioner against Provost, alleging she was in conflict while influencing the shape of the Liberal legislation. "We have to wonder how far the government will go to appease Nathalie and at what cost to the millions of Canadians this legislation affects, none of them criminals by the way," the organization wrote on its website. OneClearVoice.ca, a website that bills itself as a letter-writing tool to fight the Liberal bill, includes a template for creating a complaint to the lobbying commissioner about Provost's activities. Provost said that before joining the federal committee she was given clearance from the public safety minister's office to continue acting as a spokeswoman for PolySeSouvient. In a June 26 letter to Provost, Belanger said she was ending a preliminary evaluation of the allegations against her. Belanger said she had looked at various correspondence, conducted interviews and examined publicly available records before making her determination. The Lobbying Act applies only to people who are paid for their communications activities with federal officials, while Provost is a volunteer, the letter said. The allegations "are therefore unfounded" because the act does not apply to Provost's activities, Belanger added. "Accordingly, I consider this file closed."